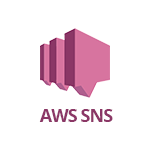 Use SignalFx to monitor Amazon Simple Notification Service (SNS) via Amazon Web Services. SNS: Overview of all data from SNS. SignalFx provides a built-in dashboard for this service, as shown below. 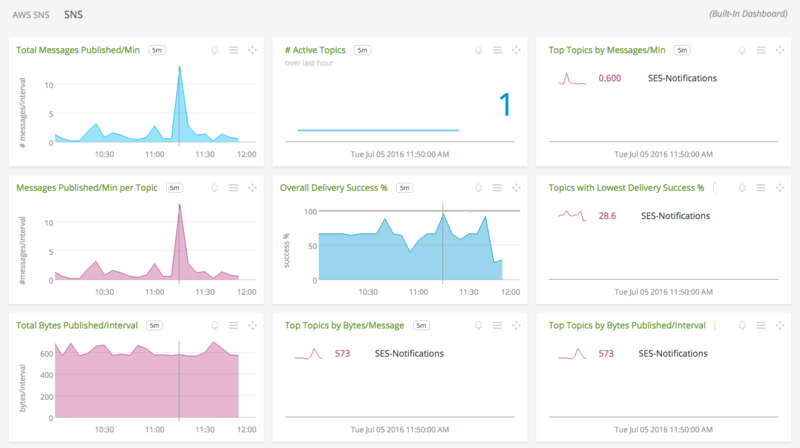 For more information about the metrics emitted by Amazon Simple Notification Service, visit the service’s homepage at https://aws.amazon.com/sns/.